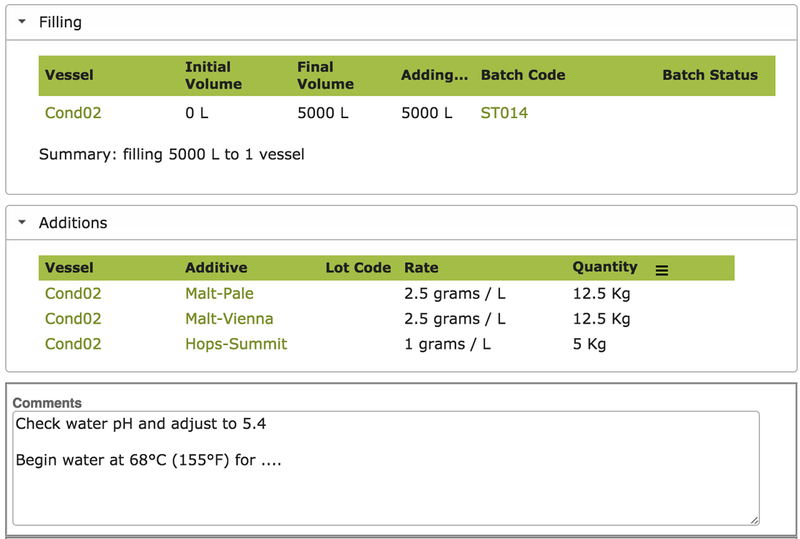 Before creating your first brew or mash (using a Bulk Operation) you should set up some custom recipes (Bulk Operation Types). This way you can quickly access volume adjusted ingredients and instructions every time you create a new brew. To create a new custom operation, go to the Settings > Make > Operation Types area and click “New”. Set the Operation Group to “Create Batch”. Note: To track the cost and inventory levels of the ingredient products, ensure that they have been entered into the system as ‘Stock Items’. They will automatically appear in the drop down list if they have been correctly added and have the Bulk Additive attribute switched on. See Stock Items – Brewery Examples. For beer and spirit mashes this will be your malted grains, hops etc, for Gin this may be spirit and botanicals. Once set up, you can use a recipe to create your brew or mash. Go to the Make > Bulk Operations area and click “New”. Complete the form, ensuring you select the Op Code that relates to your recipe from the Op Code drop down list. 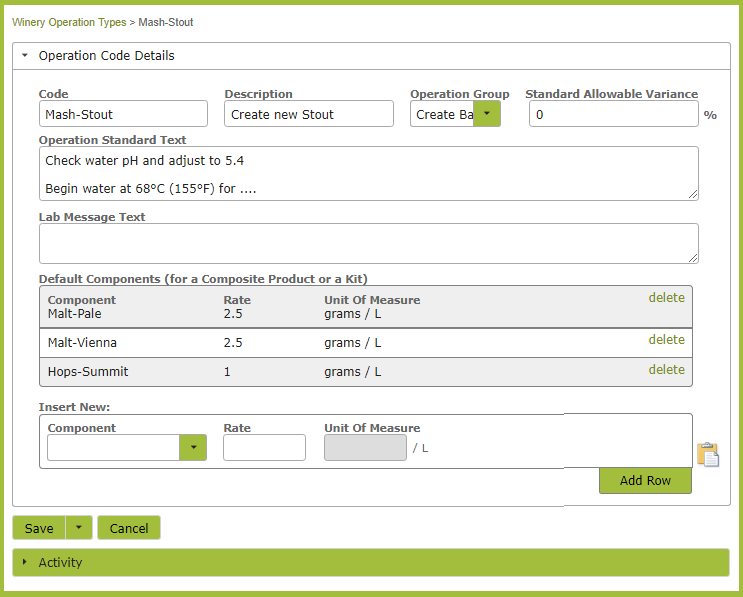 Once you select a vessel to fill, the pre-set ingredients will appear in the additions area of the page. The App will calculate the quantity of each ingredient required, depending on the volume you are dealing with. The instructions you set up in the Operation Type, will appear in the Comments area of the page.